A 4-in-1 treatment that gets you glowing for special events and helps to improve and maintain your skin all year round. Say hello to Hydrafacial MD®! Imagine a skin treatment that requires minimal time investment, no downtime, and is 4 treatments in ONE! Hydrafacial MD® makes it a reality with one of the most versatile treatment systems available which can be customized to improve any skin condition or concern. From brides wanting to look amazing on their wedding day to teenage skin that is battling acne, Hydrafacial MD® offers solutions to achieve your healthiest, most beautiful skin possible! What makes Hydrafacial MD® so unique? It’s a quadruple threat by including 4 treatments in one service! Plus! Face Cosmetic Skincare is one of the only clinics in the Metro that includes Dermablading with every Hydrafacial MD® service! Your treatment starts with a deep cleansing using a special wand with a patent-pending triple action tip. This simultaneously exfoliates while penetrating a deep cleansing solution into your skin. In addition, light suction whisks away dirt and debris. Next up, your skin is gently exfoliated with an abrasive wand and then bathed in a light chemical peel. 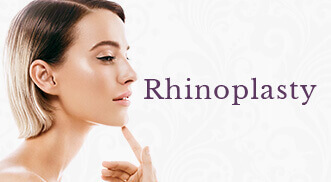 This is followed by comfortable suction assisted extractions of blackheads and skin congestion. 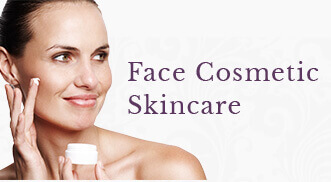 To finish, your skin is treated to a cooling infusion of antioxidants, humectants and nutrients. Most patients can’t believe the glow they leave with after this treatment and often remark how it is the most hydrated and soft their skin has EVER felt! Because the products and serums used during your Hydrafacial MD® can be customized, this treatment is appropriate for every skincare goal and concern. Salicylic serums and gentle extraction make it a wonderful option for oily/congested skin, while light resurfacing and moisture infusion make it the gold standard for dry, dehydrated and malnourished skin. Your Licensed Aesthetician will adjust your treatment each time you visit to ensure that your present condition is treated and you continue to see improvement. It’s no wonder, at 30 minutes per treatment, that Hydrafacial MD® is a patient favorite to maintain their skin every 4 weeks. Take your Hydrafacial MD® a step further and get even faster results by scheduling one of our DELUXE treatments. 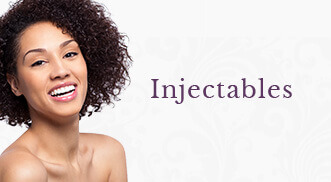 These specialized Hydrafacials target specific skin conditions with active ingredients and add/ons geared towards providing you fast and effective results. Restorative Hydrafacial®: Includes CTGF™ Advanced growth factor technology to improve the appearance of skin tone, texture, and elasticity. Age-Refinement Hydrafacial®: Includes DermaBuilder™ intense peptide infusion to reduce the appearance of fine lines and wrinkles. RevitaGlow Hydrafacial®: Includes Britenol® rich in Alpha-Arbutin a powerful brightening agent derived from bearberry extract, which helps reduce the appearance of dark spots, leaving skin with a more even tone. 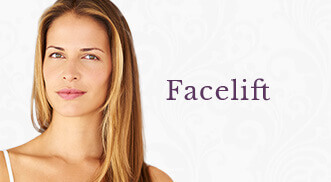 Clarifying Hydrafacial®: Includes Extended Extractions & Blue LED Light Therapy. Immediately following your treatment you may be slightly flushed. This usually subsides within one hour. You may apply makeup after your treatment, but we recommend that you allow the products to penetrate until the next morning after your treatment. Most patients love how their skin looks after their Hydrafacial MD® and many “selfies” have been taken immediately after! Improvements can be seen in as little as one treatment, especially if you are scheduling your Hydrafacial MD® to treat congestive acne or hydrate your skin. Our Licensed Aestheticians recommend scheduling your treatments every 2 weeks if you are treating an active skin condition, and every 4 weeks for skin maintenance. If you have an upcoming special event, it is best to schedule your Hydrafacial MD® 1 to 2 days prior. Ask your Licensed Aesthetician about our MRewards Program to save on Hydrafacial MD® all year! Are you interested in learning more about Hydrafacial MD®?